It is now possible to learn from the masters without attending high priced conservatories or moving to NYC. When I was younger there were really only a handful of good instructional Jazz videos, and even books for that matter. Each year brings a multitude of new high tech interactive instructional products (some of which I have reviewed on this blog) and the quality seems to get better every year. 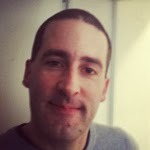 Jazz Heaven is based in Brooklyn and founded by a Jazz drummer named Falk Willis. The DVDs are well produced and feature some of the great Jazz musicians of our times. 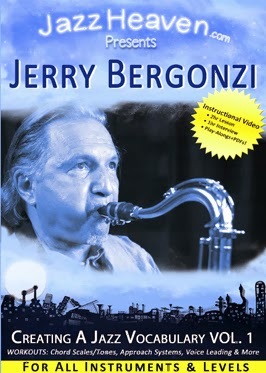 Falk sent me the newest Jerry Bergonzi series of DVDs called Creating a Jazz Vocabulary (vol.I-III), as well as also a Bergonzi sax specific DVD. PDF supplements are included with each DVD. 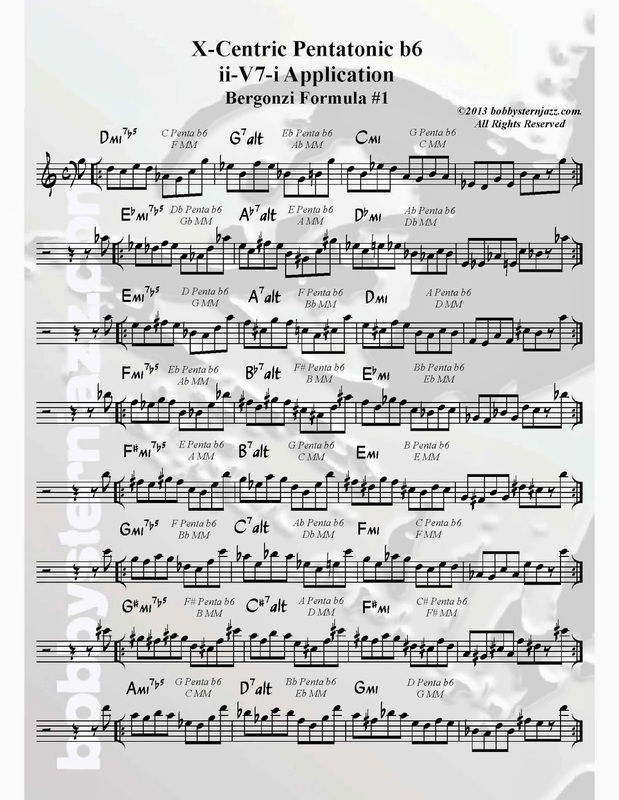 There is a ton of great information here and it really feels like you're taking a private lesson with Jerry. Each DVD has two hours of lessons, plus play-alongs and PDFs. Jazz Heaven has a bunch of other Jazz luminaries on their roster, including Kenny Werner, Vincent Herring, Lee Konitz, Ari Honig, Walt Weiskopf, Joel Frahm, Ingred Jensen, Jean-Michel Pilc, Enrico Pieranunzi, Geoffrey Keezer, David Kikoski, Lincoln Goines, Paul Jackson, Sergio Brandao, Lage Lund, Gilad Hekselman, Oz Noy, Eric Harland, Ralph Peterson, Portinho, Mike Clark, Jamey Haddad. Not all of the DVDs are completed yet, but the thirteen products that are available now are all really good. If you can't manage a move to New York City or didn't get accepted to one of the East Coast's top Jazz conservatories then Jazz Heaven's DVDs could be a viable way to learn from one of the greats. You can get online access for 24 hours for each DVD for $19.95, 90 day access for $29.95 and a physical DVD for $39.95. The prices are really quite reasonable considering how much great material you get. 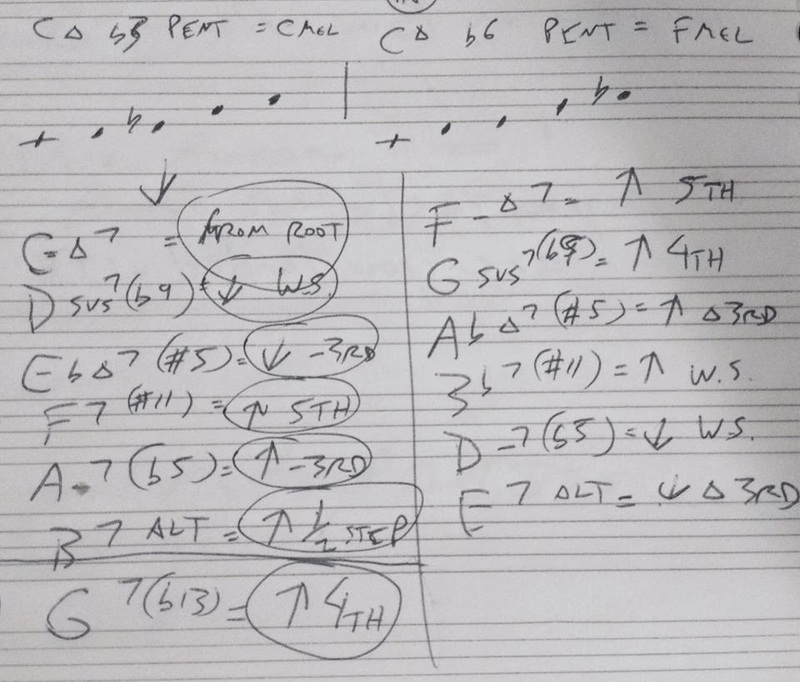 Here’s a downloadable exercise (including a bass clef version), by saxophonist Bobby Stern, on one of the many possible uses of the Pentatonic b6 over a minor ii-V7-i, which he posted recently on his blog. Bobby has, to date, authored three books: “The Melodic Minor Handbook: A Jazz Player’s Perspective” (Jamey Aebersold Books), as well as “Slick Licks That Stick!” Vols. 1 & 2, available separately or together as PDF books from his website. Bobby has lots of great educational material on his blog.